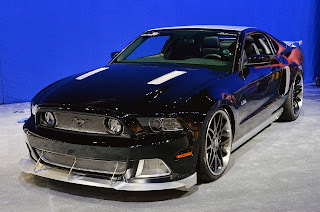 The 2012 SEMA show is almost upon us, and that means lots of custom Mustangs. Yesterday we brought you a teaser from Ford Racing of what very well could be the very first EcoBoost Mustang, and now Ford has graciously given us a preview of what to expect in the Blue Oval display. 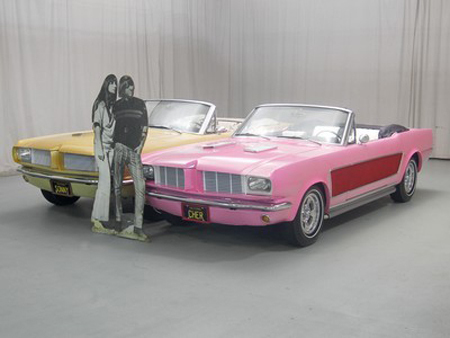 The company released renderings of four different Mustangs built by the Ring Brothers, Mothers, DSO Eyewear and Stitchcraft. You can read some brief descriptions for each car below, and be sure to check back next week for more information and photos as part of our extensive SEMA coverage. Inspired by street machine style, the Ringbrothers Mustang GT adds a supercharger, suspension upgrades, Baer brakes, a carbon-fiber body kit, custom waterborne paint, and big wheels and tires to create an optimized balance of form and function. The Mothers’ team has pumped this Mustang up to 650 horsepower, added a track-ready suspension, fitted big wheels and tires, wrapping the package with an RTR carbon-fiber body kit, and finishing the cockpit in custom Sparco seats with custom upholstery. Vaughn Gittin Jr., your Mustang is ready. A Whipple twin-screw supercharger with intercooler boosts horsepower to 750, while Eibach suspension and Brembo brakes help deliver and modulate speed. Big wheels and tires, a 3dCarbon body kit, extensive interior customization, and a booming Rockford audio system combine to set this unique build apart. Stitchcraft added nitrous injection, a FlowMaster exhaust, Hotchkis coil-over suspension and big Wilwood brakes to give this pony more performance. A 3dCarbon body kit and custom paint scheme harmonize with the signature Stitchcraft custom interior to add individuality and comfort. 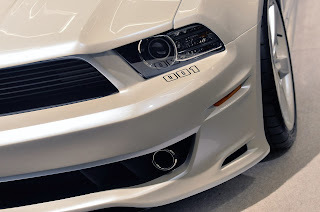 This entry was written by by MustangsDaily (Mustangs Daily) and posted here on Wednesday, October 24th, 2012 at 9:53 am and is filed under News, sema 2012, sema ford mustangs. This article was not written by us, rather gathered using RSS feeds listed here. We take no credit for this article. You can leave a response, or trackback from your own site.